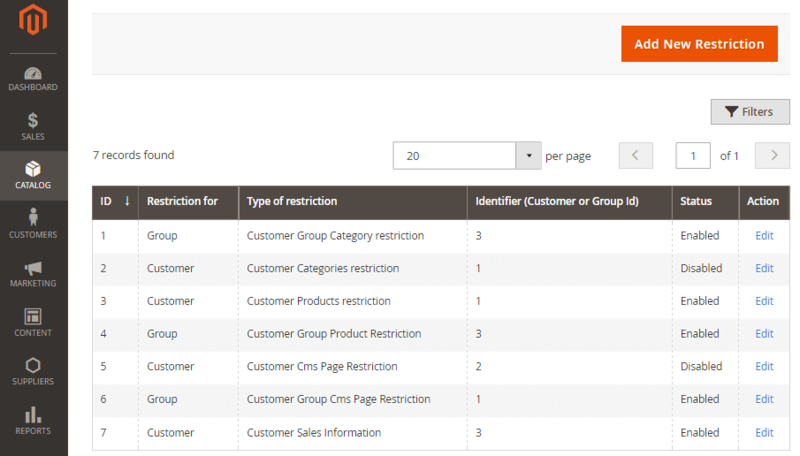 Limit category, products or CMS pages access to customer and customer groups using the Catalog Permission extension for Magento 2. Grant special permissions due to business reasons, for example, showing special offers and catalog pages for B2B customers or wholesalers, or hide prices and the add to cart button to make users log in. 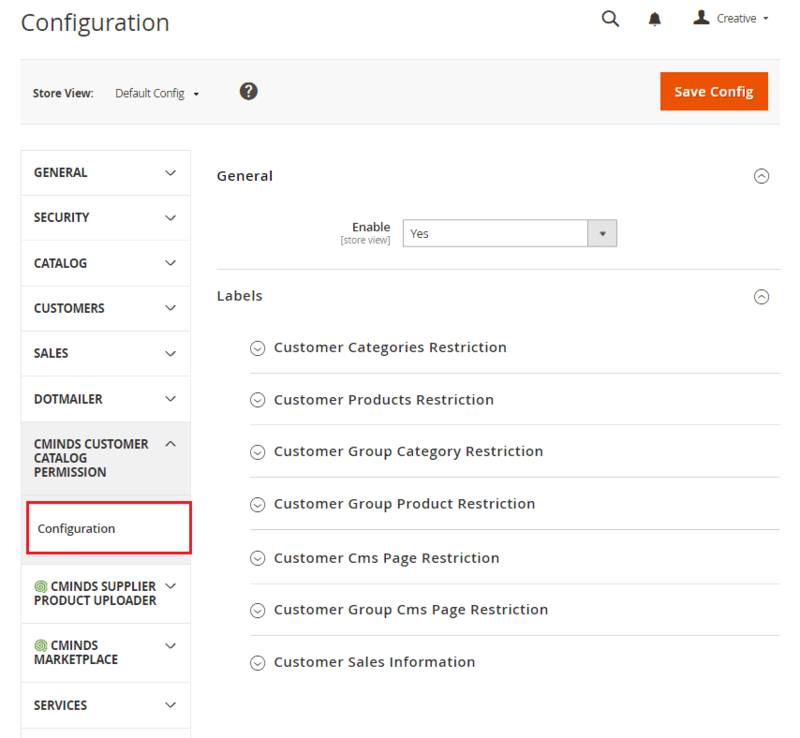 The Magento 2 Catalog Permission extension allows you to hide certain product, catalog and CMS pages from selected customers or customer groups. All the restrictions are based on special rules where you can define what customers and customer groups can get a permission. 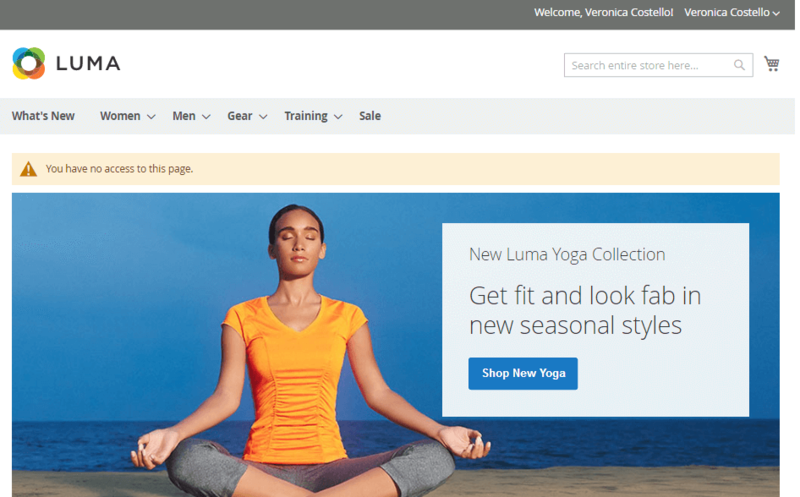 Limit access to specific CMS pages with Promotions to logged in customers only, or give a permission to several catalog pages to effectively optimize the visibility of your store. Show a custom error message once users will try to go to a restricted page to improve user experience. Moreover you can smoothly redirect customers to a specific URL or another website. For example, if a user clicks on a restricted page A, you can redirect them to a different page B. 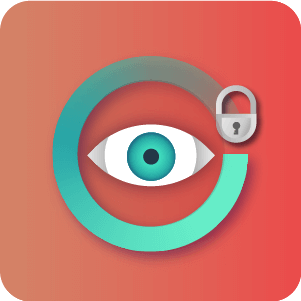 Easily create an unlimited number of permissions or delete the recently created ones. 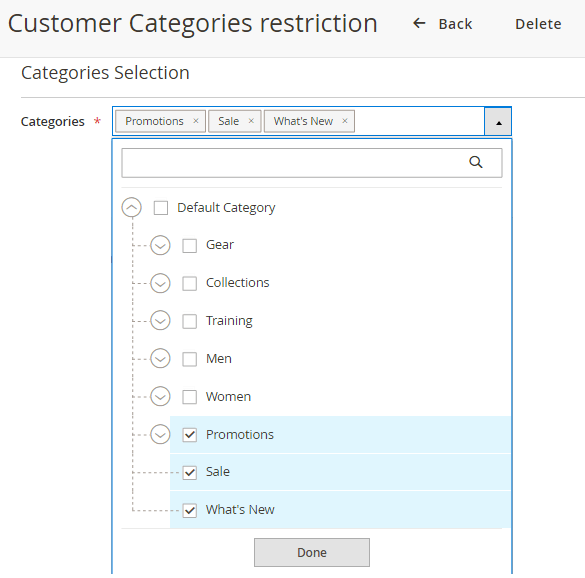 Create multiple rules to restrict products, categories by specific customers and customer groups. Create multiple rules to restrict CMS pages by specific customers and customer groups. Show customized error message to block customers. Enables your customers to ask a questions directly on the product page which admin can approve and answer. 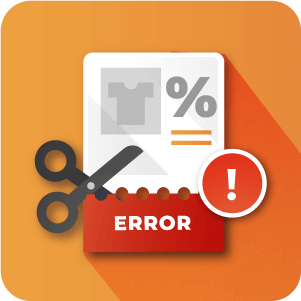 Easily create custom error messages that explain why coupons could not be applied to the cart. 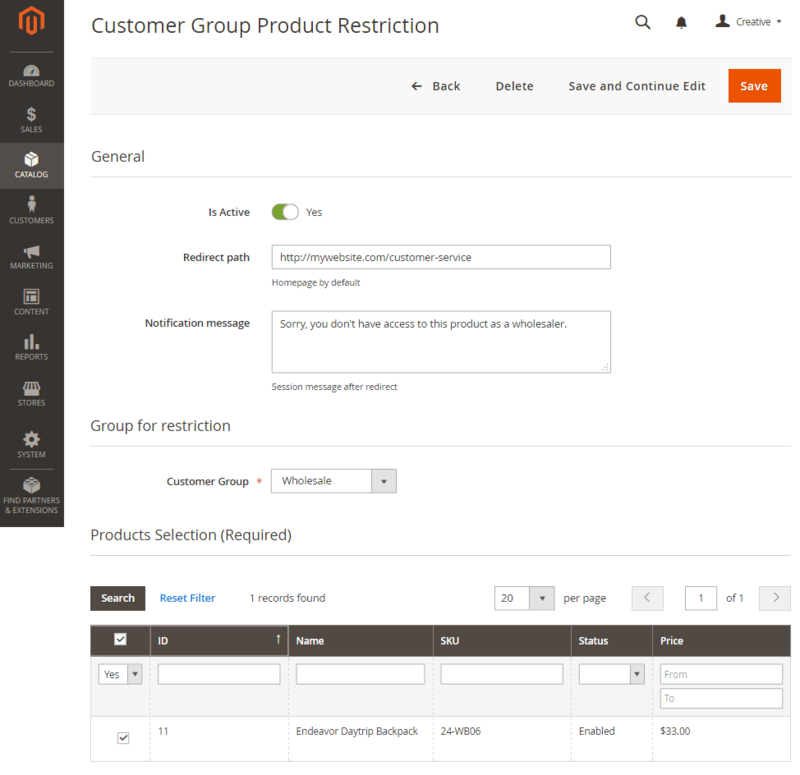 Restrict products, categories by specific customers and customer groups – create rules to limit access to product and catalog pages to customers or customer groups. 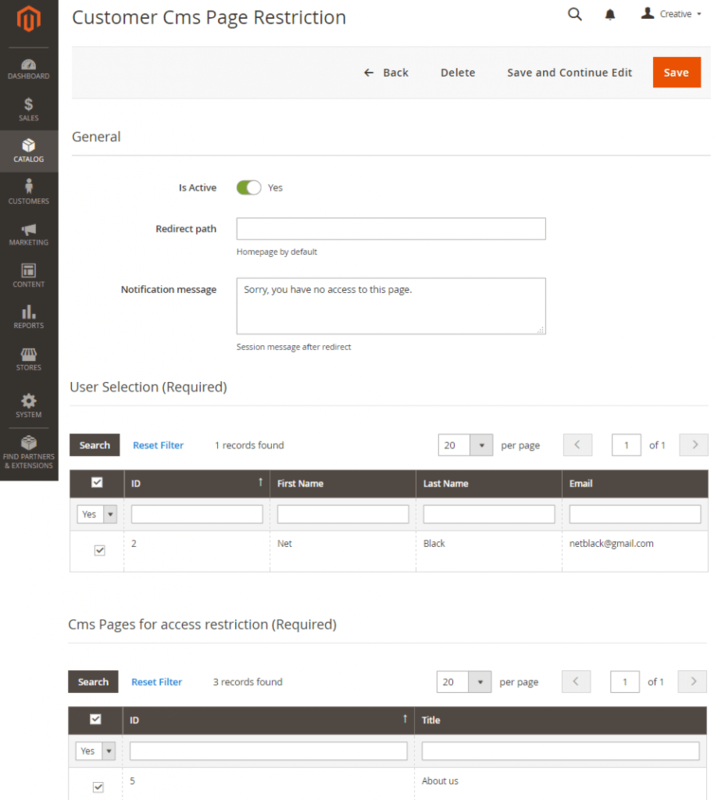 Restrict CMS pages by specific customers and customer groups – create rules to hide certain CMS pages, for example with sales, for customers and customer groups. 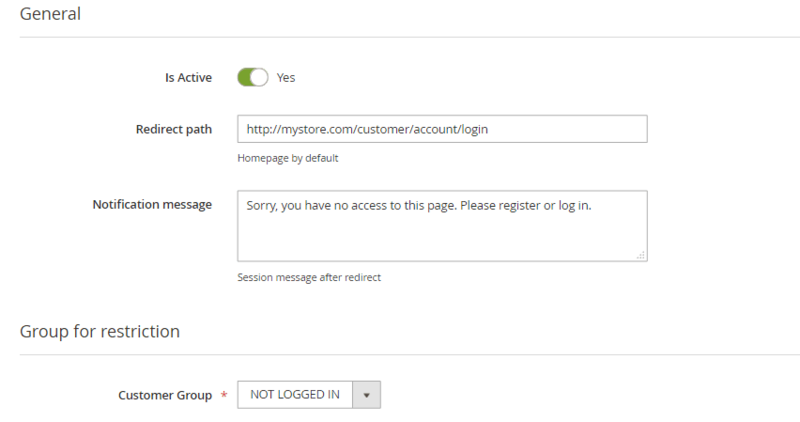 Show custom error message to block customers – add a message for each restriction explaining why the customer is redirected. Manage all the restrictions in one place – create and manage all the restrictions in a separate section from the Backend. Set the priority in showing restrictions – if you set products and categories restrictions for the same customers, the products restrictions will be prioritized. 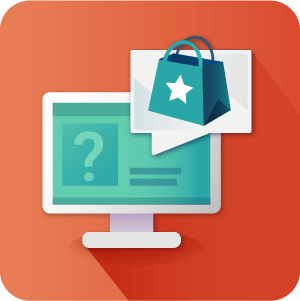 Redirect customers to another URL – redirect users to a separate page or website for good user experience. Hide price block and “add to cart” button – call customers to actions and hide prices or the Add To Cart button. 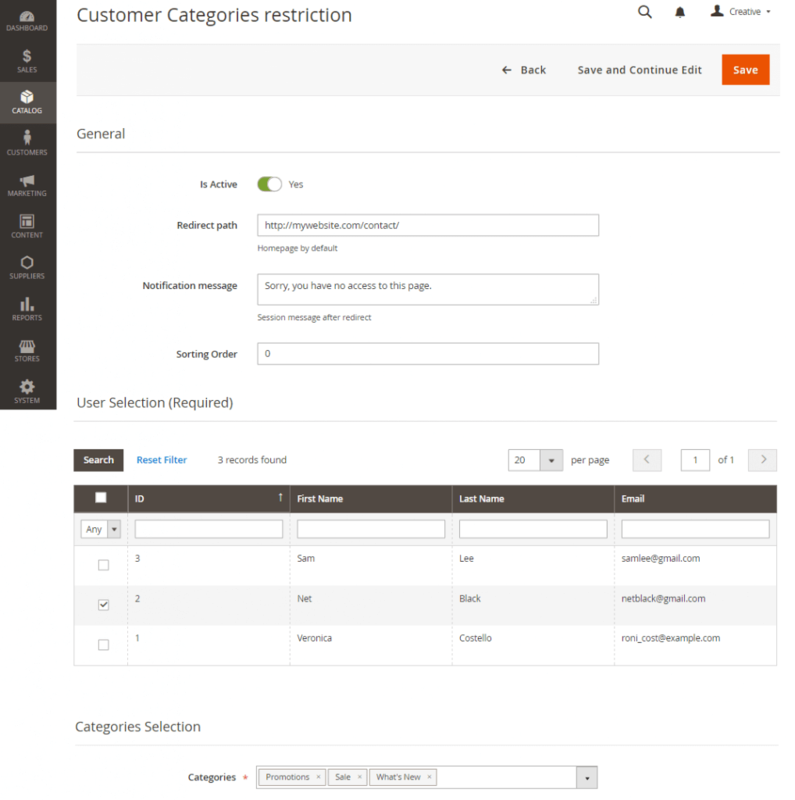 Add custom restriction labels visible for the admin – if you want to explain customers why the area is restricted you can add a custom message for each restriction. Can the guest user be able to access private categories? After setting up customer categories restrictions for not logged in users, the guests won’t get access to the specified categories. To restrict access to the not logged in users, go to CATALOG > Catalog Permissions and set Customer Group Categories or Products Restriction. You can also add a message and redirect guests to the login page. Can admin assign multiple categories, products or CMS pages? 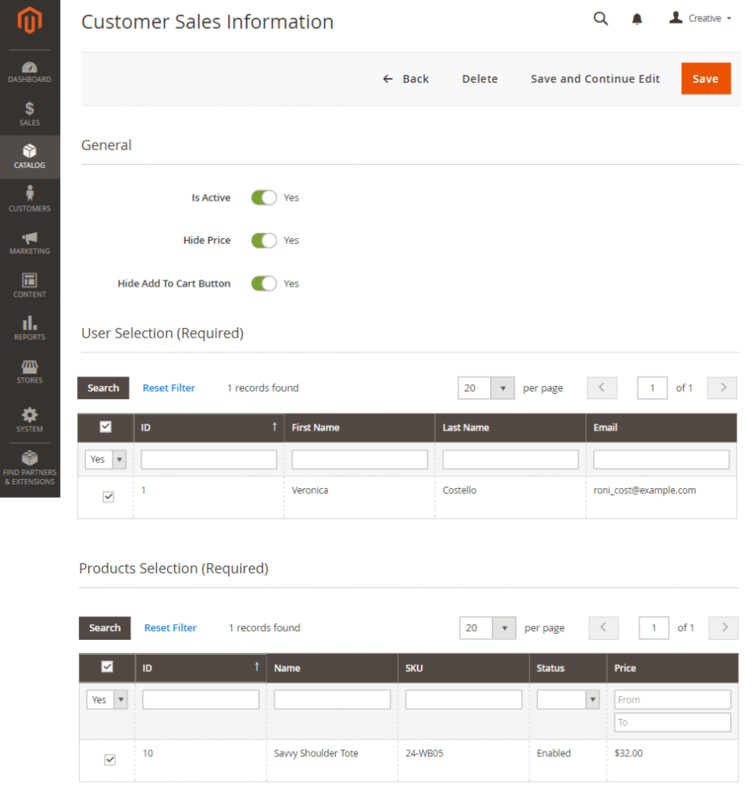 Yes, admin can assign multiple categories, products or CMS pages in bulk to a certain customer or customer groups. Just go to the Add New Restriction page. Then find the Categories Selection section and select multiple categories in bulk. The same is applied to products. Can I hide prices using the Magento 2 Catalog Permission extension? Yes, the restriction called Customer Sales Information. The restriction allows hiding prices for the selected customer or disabling the Add to Cart button. Magento 2 All Access Pass! Purchase our entire library of Magento 2 extensions and add-ons for just $1299. Get all new products FREE.